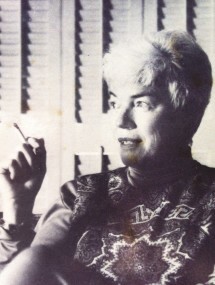 Carolyn Weston grew up in Hollywood during the Depression. She played hooky from school in movie theaters and libraries, honing the craft that would make her books so remarkable. 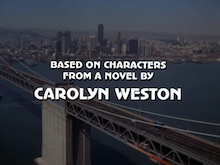 During World War II, she worked in an aircraft plant and then did odd jobs around the country before writing Poor Poor Ophelia, the first Al Krug / Casey Kellog police procedural… which became the hit TV series The Streets of San Francisco. Two more books in the series, every bit as good as Ed McBain’s 87th Precinct and just as memorable, followed and all three are proudly being published by Brash Books. Krug & Kellog investigate the brutal hit-and-run of a motorcyclist who is plastic-wrapped in $20 bills. 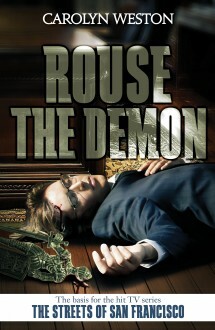 Al Krug, veteran homicide detective, has a new partner: university-educated surfer Casey Kellog, the youngest detective on the force, and together they have to solve the bizzare murder of a young woman. This is the blockbuster police procedural that became the hit TV series "The Streets of San Francisco." Detectives Krug and Kellog investigate the murder of a therapist who secretly recorded his sessions...and may have been involved in the disappearance of one of his teenage patients. The third book in the series that inspired the hit TV show "The Streets of San Francisco."